If you don’t want to deal with the already simple task of making a Lion USB install drive or boot DVD, you will probably like the little third party utility called Lion DiskMaker, it’s an AppleScript that handles everything for you as long as you have the requirements met. Once you have the necessary components, the target USB/DVD/SD card will be wiped and the AppleScript simply automates the process of creating the boot disk out of that disk for you. This is as easy as it gets, so if you didn’t want to open up Disk Utility on your own and you can’t wait for Apple’s official $69 USB key to come out later this year, here ya go. 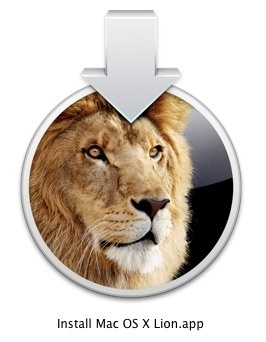 Before jumping on a DVD though be aware that installing Lion from a DVD is much slower than using a USB drive, and even the creator recommends using a USB disk as the preferred method. If English isn’t your native language, there is also a French version available on the developers website. This is a nice little find by 9to5mac! This app is for the lazy. Remember to hold down OPTION while you download from the App Store if you already have Lion installed, took me a while to figure that out and it was a pain to make a disk. Thanks for the reminder about redownloading, I will make a separate post about that. you have to hold option while you click onto purchases and then the installed turns into purchase, it doesn’t buy it twice it just downloads again. Your way is actually the lazy way, this one requires more work. Flawed logic you have there! Shouldn’t it be “Lion DiskMaker”? rather than Loin? I have just recently “discovered” osXDaily and must say, it is a great resource. Actually yes 4 GB flash drive does fit. Because the total size of the lion installation is 3.8 GB but somehow Apple made the DMG size to be 4.18 GB which won’t fit on 4 GB if you do a restore from disk utility. I have tried this and worked on my late 2010 15″ and 13″ macbook pro. Nice trick, good to know! The demented and challenged Apple engineer that prepared the DMG should be moved to flipping burgers for a while. Not only there are 280MB of wasted free space, the DMG is highly fragmented (1500+ fragments per file), with said free space lodged at the beginning of the volume, so that it is not possible to recover it using hditool. When you format your USB key, don’t use GUID or you will lose 200MB to the mandatory EFI partition, just use Apple Partition Map. The USB key will still be able to boot (the DMG is APM as well).